In all honesty, I wasn’t planning on writing a travel roundup for the first quarter of 2019. After looking at my analytics and engagement on these past roundup posts, it is pretty clear that these are some of my least popular. However after getting both an unexpected travel surprise this quarter, having a question I’d love to ask my readers, as well as feeling compelled to write a little bit, I decided to type one up. 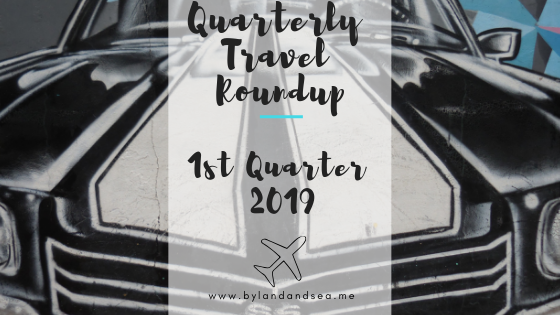 For anyone new to my quarterly travel roundups, these posts highlight our travel activities by offering glimpses of things that haven’t made it onto the blog yet! Those who know us know that our trips around the Christmas holiday are usually the worst ones for us. Something happens every time. This year, we decided to plan a quick, fun, and easy four day trip to Austin, Texas. We’ve wanted to go to this awesome city for awhile. It was dirt cheap, in decent proximity, and the forecast called for 60’s-70’s… it was looking like a great few days away! However, history repeated itself and, well, it wasn’t a great few days away. We missed the first 1.5 days of our trip because of a blizzard. When we finally arrived in Austin, not only was it cold and pouring rain, but nearly every hot spot in the city was closed! While we made the most of it, we definitely didn’t get to experience what Austin really has to offer. Keep Austin Weird! Our visit was pretty weird! For the longest time, we have been wanting to push a little further and expand our travel boundaries. That wish came true this month as we ventured to Thailand. We could not have asked for a better experience! From the flights to the food to the people; it was all-around amazing. Pulling the trigger on this trip was a few years in the making and I’m so glad we finally did it! Keep your eye one the blog as posts are currently in the works for our time there! The Grand Palace in Bangkok is out of this world! March was filled with travel happenings, but not the kind you might expect. I spent several days teaching a class at a local college discussing various travel impacts and considerations. As a reminder, I earned my master’s degree in Sustainable Tourism in late 2018. Teaching others and sharing my love of travel is a dream come true and I can’t wait for more opportunities like this! I also celebrated my 5 year anniversary at work. This is really important in terms of travel because this milestone was accompanied by a happy surprise – I received an increase in the amount of vacation time I will earn each month! That’s right, my employer rewarded me with more time away. I will now get an additional three days of paid vacation time each year. Let the planning begin! At By Land and Sea, we don’t believe you have to quit your regular 9:00-5:00 to travel big! Want to learn how to travel more with a full-time job? Click HERE! As I mentioned earlier, I wasn’t even planning on writing up a quarterly travel roundup. I’ve been having mixed feelings about some things on this blog lately and have been pondering some things for awhile. So, in the comments below, I’d love to know…. What are your favorite things about my blog? My favorite things about your blog are: 1) the beautiful pictures you post from your various travels, and 2) the fact you keep the content interesting, but yet concise. I appreciate your input. Thanks for commenting! 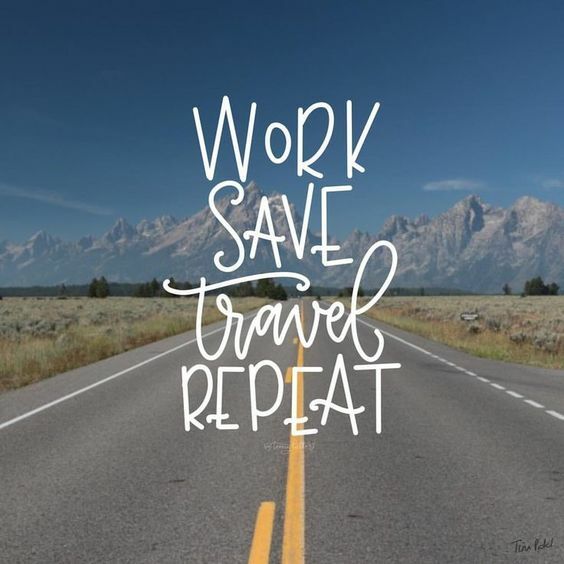 I just love hearing about and seeing pictures of your travel! I also like the tips you give about each place. Thanks for the comment – I enjoyed hearing what you do like! I love this idea of a quarterly travel roundup! We only tend to write about the good travel. I love how this just provides a quick summary of both good and bad. Thanks for the feedback. Glad to hear you enjoy the quarterly travel roundup concept! Believe it or not, you guys did pop in my had while were in Thailand because I know how much you love it there! Ha ha yes it is one of our favourites! Congrats on your 5 year anniversary at work! Thailand looks amazing, and I hope you get back to Austin one day to experience what it’s really like! Thanks! Yes, I hope to return to Austin at some point too. Well i think your quarter 1 cane out alright! I especially love the Thailand trip. Im close to that country but have never been there. And congrats on your added time off! Thank you! Thailand was great – hope you get there soon! Glad you enjoyed it – it’s a really good way to reflect on the quarter. Thailand was amazing! I have a pretty sweet gig by American standards! That sounds like a great three months to me! Three additional days holiday a year – fantastic! When I was employed I picked my jobs by the amount of annual leave they gave! And how interesting to be teaching about travel. Well done! What a great idea to make travel roundup, loved reading this! Travel round up is a great idea for all those details that didn’t make the cut to have its own post. Thailand is an amazing place to go! We’ve definitely been having some weird weather lately. Yes, Thailand was amazing! Oh wow! I can’t believe that was even possible. An employer giving you more vacation days?! I’d love to be at such a workplace!! I was pretty thrilled about it myself! Thanks for commenting! I love that you don’t shy from telling the bad stories as well as the good. Wish more travel bloggers would do this! So glad to hear that. Travel isn’t always pretty, and I think it’s fair to be honest about that! Sounds like a busy first quarter. Living in Toronto, we are well accustomed to weather delays when we travel in the winter. Always makes the travel day a little stressful until we reach our destination. Sorry you lost so much time in Austin because of it. I am sure that Thailand was amazing. And great that you will now have more vacation time to travel. Yes, weather can be so challenging, but what do you do!?! Thanks for commenting! Thanks for the feedback. Gotta keep it real!! I’m sure we will go back to Austin at some point. But, too many other new places to go first! It is sad that you could not enjoy Austin but I am happy that you loved your Thailand trip. Thailand is also on my bucket list, so I would be waiting for your post to know your experience. Thanks! The Thailand posts will start coming out this summer!! Interesting to read your round-up. I made several trips a year but over the years ago forget the details of my trips. It is a nice way to spotlight such activity online. Yes, it’s a really easy way to look back at the things you’ve done. Well, the round up posts are also my least popular posts. But I somehow love to write about them. To some extent it helps to connect with my loyal readers. The first three months went well for you. Hope it remains the same for the rest of the year. Interesting that you don’t have a lot of success with your round up posts either! Thanks for sharing! I wasn’t anticipating earning more time off for another year. I’m thrilled about this perk I received!! Yes, everything in Thailand was wonderful – looking forward to blogging about it! Thanks for commenting, as always. Thanks for commenting! Our Thailand posts will start coming out this summer! !